Useful Solutions can offer experienced and qualified cabling services, combined with expert support from initial advice on selection, design and commissioning, through to ongoing maintenance, extensions and upgrades. 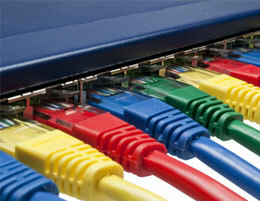 Our team can design and install a network plan for your entire office. We provide installation of data, telephone, PABX, VoIP and electrical cabling, IP security cameras and wireless access points, as well as cable audits and full project documentation.